Being a leader has more important implications than those you lead at work, in a business, in ministry, or non-profit. As I stare at my 2 year old, I am beginning to realize that my role as a parent leader to him is more important than my leadership role elsewhere. Your leadership role, whether as a pastor, as an owner of a non-profit, or in any other capacity is important! Every day you sacrifice, you give up things for delayed gratification– in a way, you’re like Elisha in 2 Kings 5. As Elisha sent Naaman away, healed, he asked for nothing in return. There is little greater than that kind of service and for those that serve in that capacity– you are appreciated! As a parent, however, we are leading the future leaders. 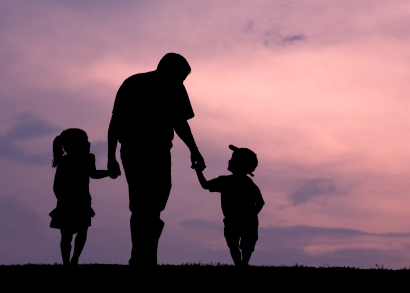 A pastor once told me that the greatest thing I can do as a parent is disciple my child. Well, duh. That is a given– or is it? We get so busy in our other roles that sometimes we leave our duties as a parent leader behind. My 2 year old may not understand fund-raisers, prayer walks, ministry meetings or Bible studies… YET, but you can bet that he is watching me all the time. Don’t forget to lead your little ones. . . they’ll soon be leading us.